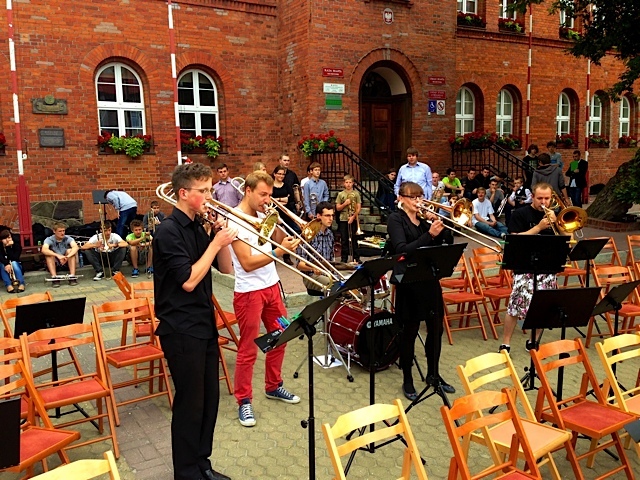 On the left, sitting with the white T-shirt the trombone-teacher, Rafał Mizdalski, standing at the back Andre Prokopowicz - trumpet-teacher, of the school here and the guys responsible for the organisation of the festival. 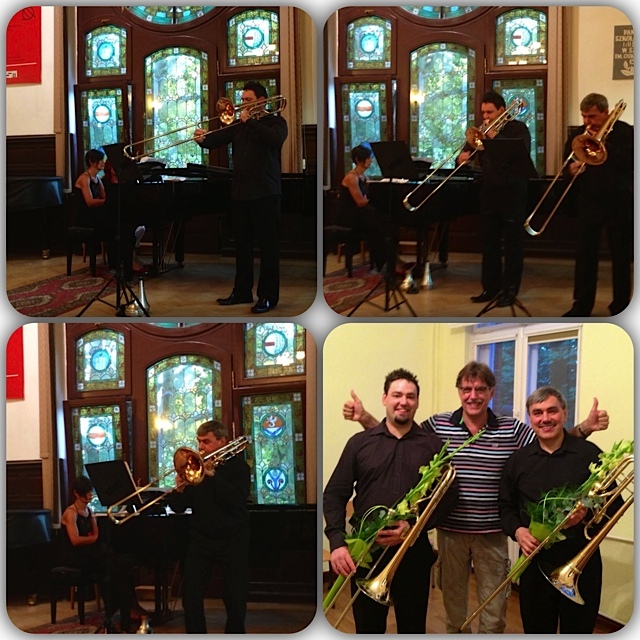 The third evening of the festival a great concert by father and son Zdzislaw ( basstrombone) and Tomasz Stolarczyk (tenor trombone). The teaching team for this years festival. 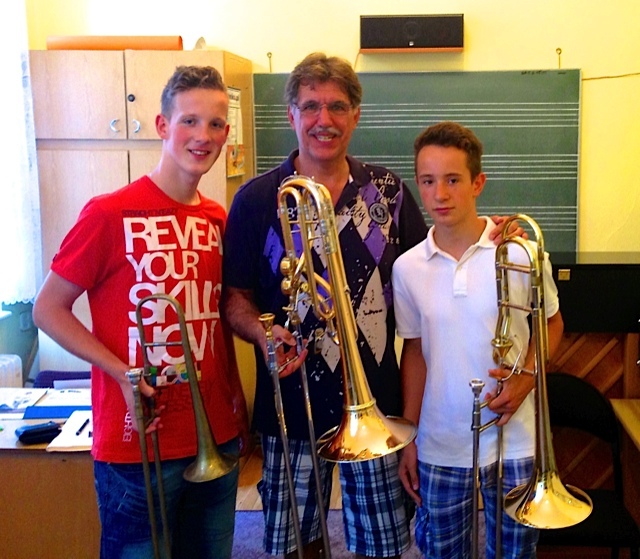 2 brothers Wojciek (18) and Maciej (13) Prokopowicz were amazing! Remember these names. 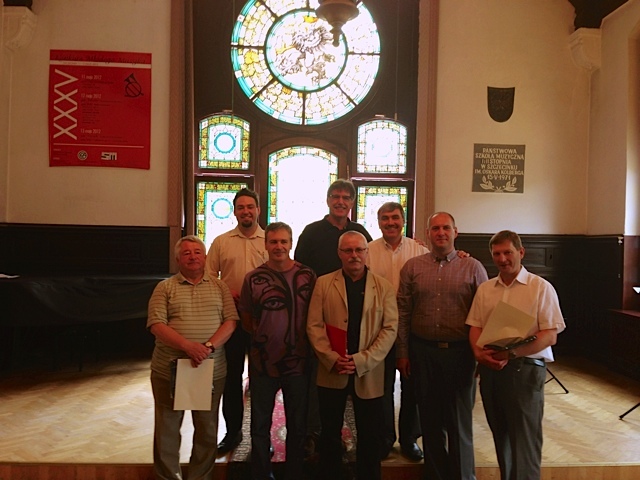 The last day of the "13th International Wind Instrument Workshop" in Szczecinek. Wonderful concert in the Aula of the school of some of the participants and after that an open air concert on the Town-square. Here a compilation of photo's from the outdoor concert. 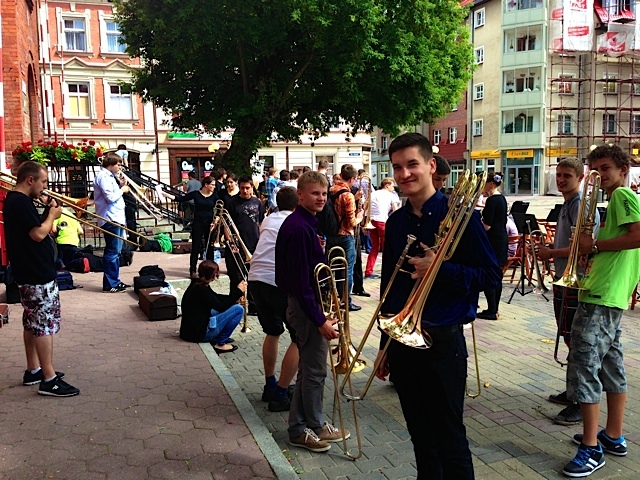 Young bass trombonist Adrian Gryciu, talented and played a nice Lebedev on the participants concert. 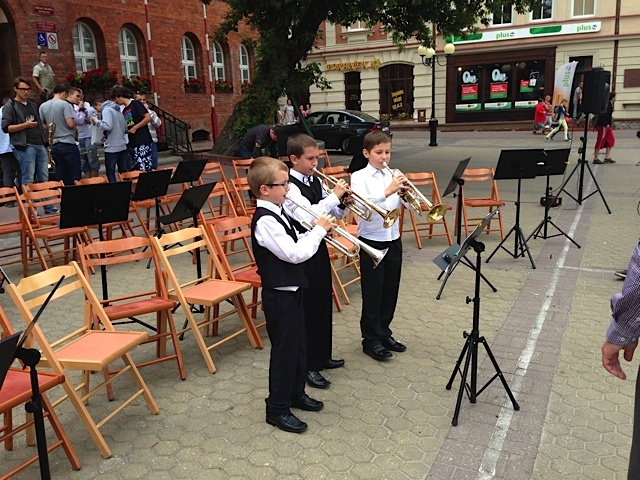 3 young trumpetters in the age of 8, 10 and 11 and just amazing. Very talented! 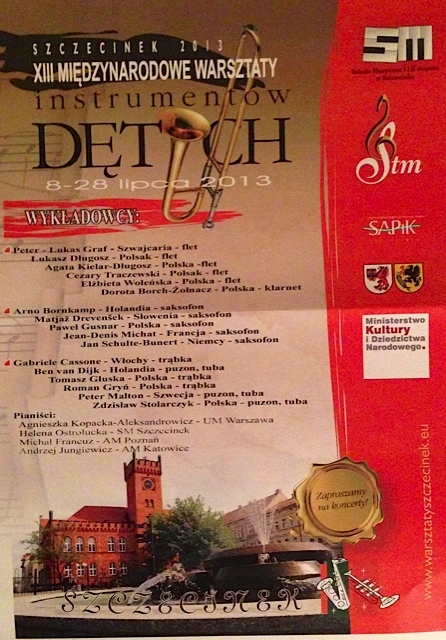 Very nice trombone quartet playing a composition by Tomasz Stolarczyk. 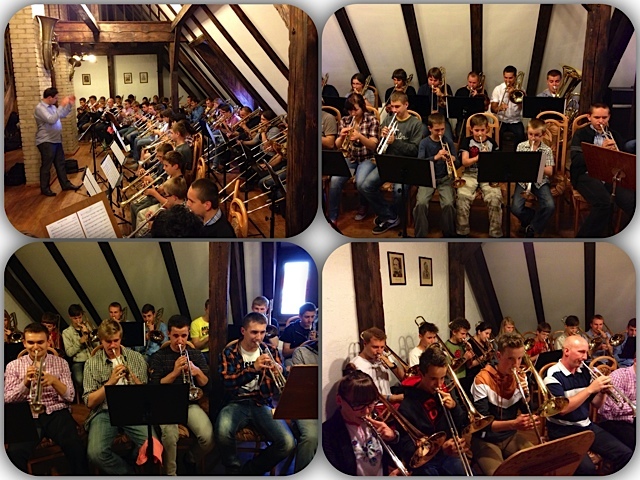 All participants, trombone, tuba and trumpets playing Starwars arranged band conducted by Tomasz Stolarczyk. A nice ending of a great week!